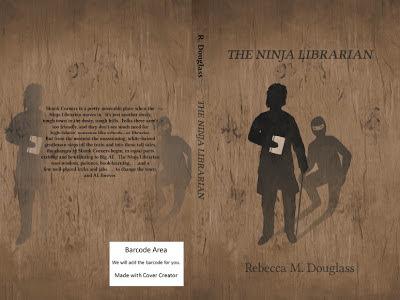 The Ninja Librarian: Got a new cover! ...owe huge thanks to Dani for reaching into my head a bit and pulling out things, and adjusting until we got there. I like it! I'm looking forward to more time to read this fall and finally getting to read this book! By the way, I signed up for your email updates and was wondering why you weren't posting. Apparently I get all of them once a month or something. I just got a HUGE list of posts of yours. You have been busy! I hope you are having a terrific summer. Stanley & Katrina also have a new cover coming. Interior illustrations are done, too. Exciting stuff!